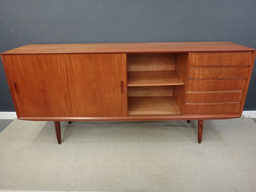 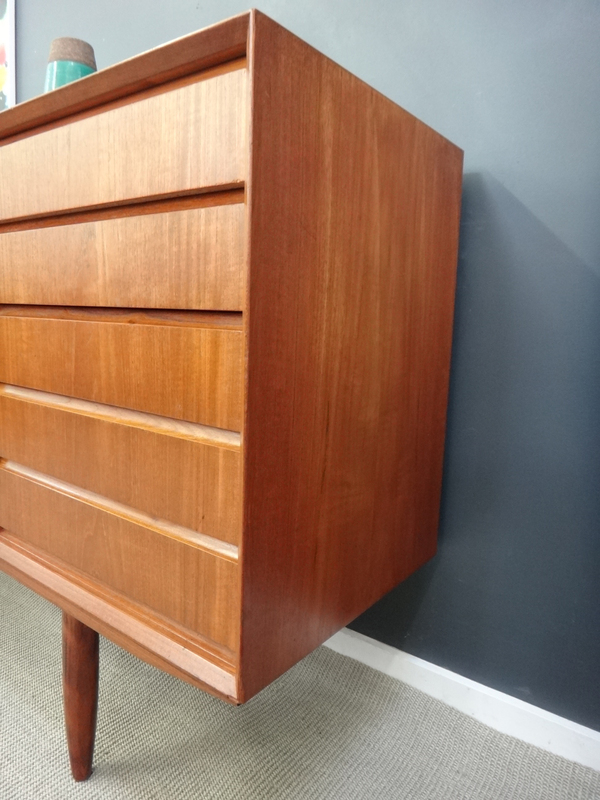 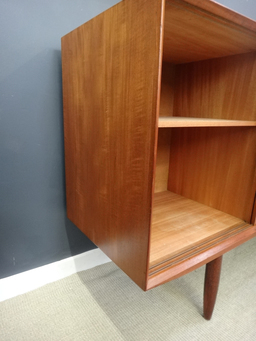 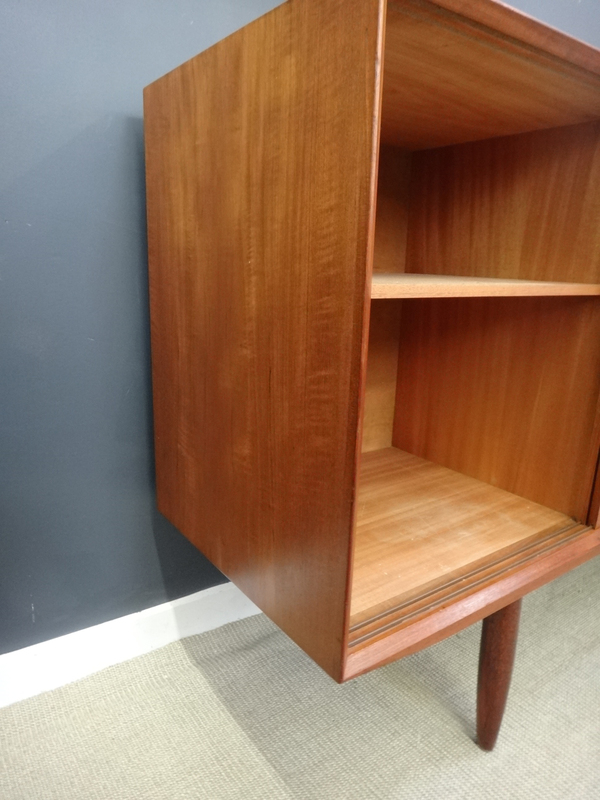 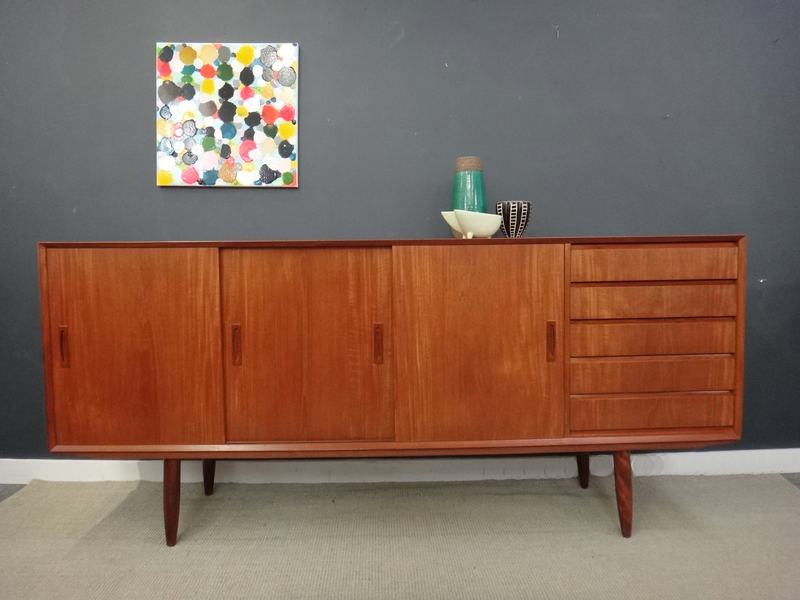 This generously proportioned teak mid century credenza hails directly from Denmark. 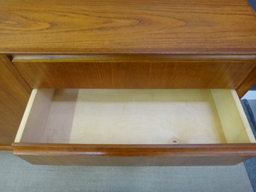 It features three sliding doors with a large storage area and one shelf (not adjustable) and five drawers. 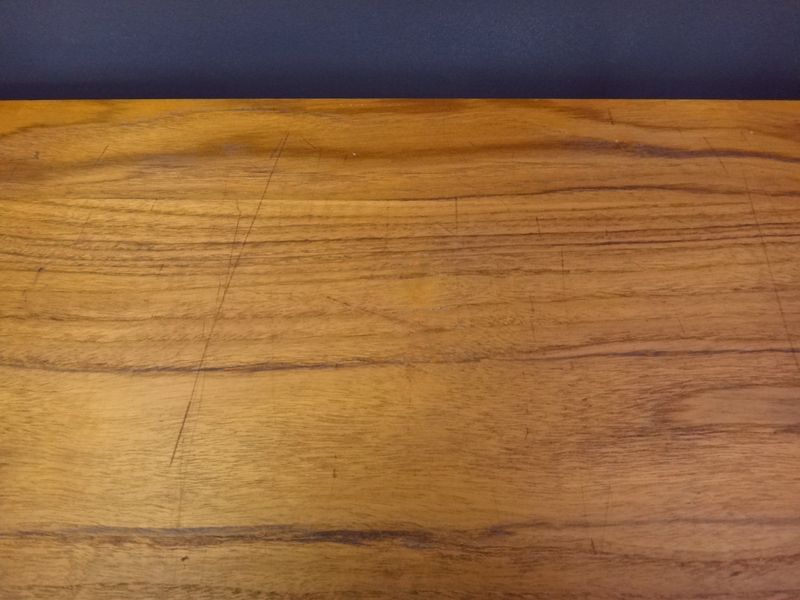 The top surface has some scratches and variation in color but otherwise is in excellent condition. 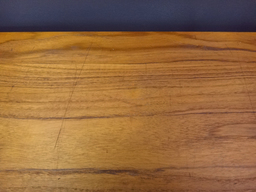 Has been fully cleaned and teak oiled.